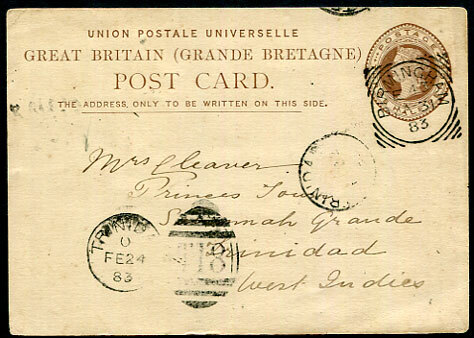 1883 use of GB QV 1½d Post Card pmk'd Birmingham JA 31 83 sqc to Mrs Cleaver, Savannah Grande, Trinidad with "T.18" arrival duplex dated C/FE 24 83 on address panel. 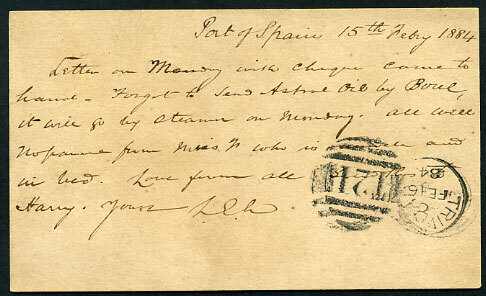 On JA 20 1880 Princes Albert and George (later KGV) disembarked ship at San Fernando and took the Cipero Tramway to the town named The Mission Of Savannah Grande, where they planted two pooi trees in the St. Stephens Anglican Church compound, on their way to visit the Devils' Woodyard (famous mud volcano which first erupted 1852) near Indian Walk. To commemorate this event Savannah Grande was re-named Princes Town on FE 18 1880. 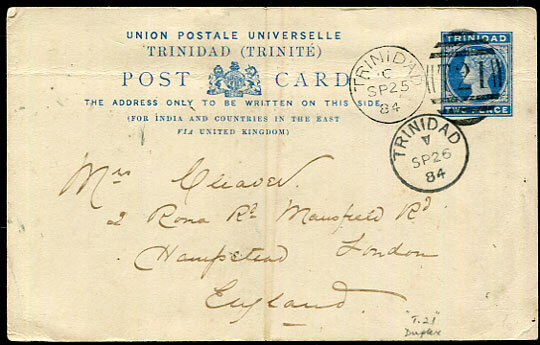 1884 use of the QV 2d blue Post Card (for India and Countries in the Far East via UK) to Hampstead, London pmk'd "T.21" duplex dated C/SP 25 84 (Type 0.9, used Cedros). 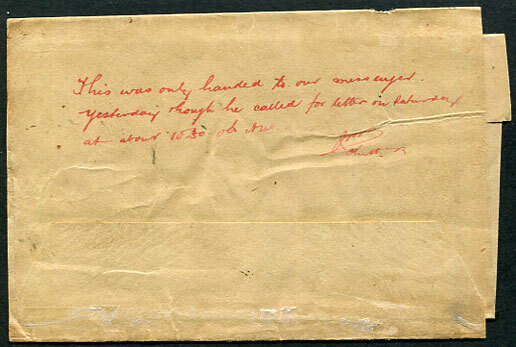 Writer says he has written "giving an account of the Races" and that he saw Luther "at the Races" with mention of Palmcole Estate. 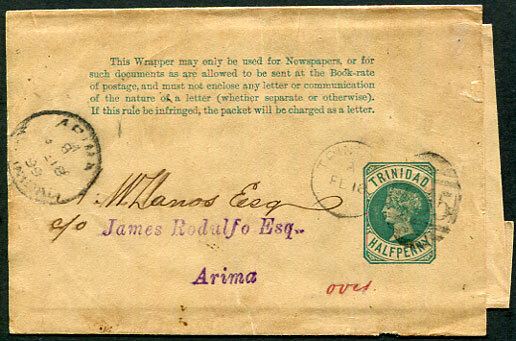 Cedros, one of the most isolated areas in Trinidad, had little in the social calendar. In 1884, some of the colonial officials and larger planters of the area joined to hold a series of races at Columbus Bay, the sands being firm enough for their purpose. The event, which came off on September 18, was held under the patronage of the Governor, Sir F.B. Barlee. He came down for the occasion along with many guests aboard the island steamer. It was then an annual event, being held on New Year's Day, thereafter. The last races were held in 1950. 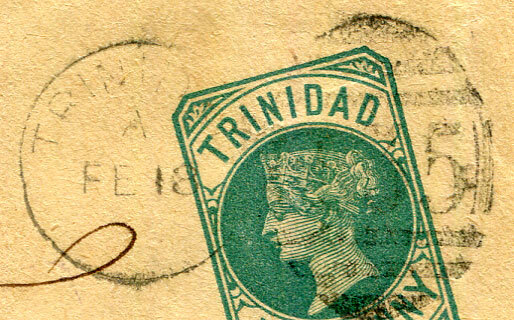 (Type 0.9) C/FE 16 84 as arrival b/stamp on QV ½d Post Card pmk'd TRINIDAD A/FE 16 84 cds to Cedros.